This passage has likely never been easy for people, but it seems especially unsuited to today. We all assume that understanding is a good thing; when I understand why a triangle’s interior angles must always add up to 180˚, or learn a woodworking technique, or hear about the evolutionary process which has shaped our DNA, it enriches my life. The ‘objective’ – the realm of facts, observations about reality, and so on, is comforting. I can measurably become more right than I was before, and my knowledge is something on which I can rely. When the next big behavioral psychology study comes out, I’ve learned something new about human nature. We value objective knowledge for its reliability, verifiability, and our ability to naturally communicate it to others. There is one reality for everyone; were all our knowledge of mathematics and science wiped out tomorrow, someone would eventually rediscover the sum of a triangle’s interior. Such knowledge is real and communicable, and it endures. Yet the kingdom of God is a secret – a musterion, from the stem of which we get ‘mystery’ and ‘mystical.’ It cannot be said in plain speech, cannot be communicated from me to you. We will always overrate how much the thought matters, and underrate how the thinker matters. How often in the Church we try to change our thoughts, speech, and actions, but pay little attention to the thinker, speaker, and actor behind them – the ‘subjective’ part of things. For instance, say that I’m person A, and I don’t understand one of the parables. I think thought (1), which is incomprehension, but I want to think thought (2), which is understanding. How do I get from (1) to (2)? I read Robert Farrar Capon’s masterful take on the parables. I listen to sermons on them. If I’m serious, I learn Greek, and if I’m very serious, I get a degree in New Testament Studies, perhaps with a focus on hermeneutics. I read the theologies of the most influential thinkers – Augustine, Aquinas, Luther, Barth, and others – and try applying their ideas to the text. Does all of this knowledge help me? I can use to speak at conferences on the parables, to author an influential book on how Christ’s original audience would have received them. Does that help? If the kingdom of God really is a secret, and the parable concerns the kingdom of God, then no. Human knowledge may put everything in context, clarify all the individual details like nuances of Greek words or source-material for the texts. But it cannot resolve the big picture; it does not crack the ‘secret.’ The secret is private, withheld from the reader as it is from the original audience. BUT, I might think I understood the parable. Why didn’t Mark include what I may have learned? For instance, in the parable above, the seed is Jesus himself, who lives a life with little worldly significance, dies and is buried in the ground (tomb), and sprouts (resurrects), enthroned in heaven as a canopy under which all our souls are in refuge. Isn’t that what Jesus meant? But if it were that simple, perhaps it would have been given to us. Were I Mark’s author, I would’ve included a little appendix explaining everything. Were I the Holy Spirit (mea culpa), I would’ve put something in the rest of the New Testament that addresses the parables, interprets them in light of Christ’s divinity and death and resurrection, in light our atonement and reconciliation, in light of the eschatological resurrection and the coming kingdom. We are denied that – again, just as Christ’s original audience was denied it. Socrates was considered the wisest person in the world, during his lifetime, because he alone knew that he was unwise. He understood his lack of understanding, and that one conviction caused him to earn the respect of the Delphic Oracle and millennia of later writers. Jesus wants his audience to come to that realization rather quickly; while we scry the hardest passages of the Bible and scour them for meaning, perhaps we were meant merely to be puzzled, and admit that. So is understanding impossible? Certainly not, but it is a private phenomenon. Any ideas about the parables which I can convey to you may have truth to them, but they are a poor treatment, reductive and one-dimensional, like catching a glimpse of the corner of a far-off house and telling you about it. Interesting, but not that interesting. What Jesus seemed to fear was someone catching a glimpse of the corner and presuming, on that basis, that they knew what it was like to live to inside. For another analogy, we’re all sitting around in a group talking about the movie Bicycle Thieves, which none of us have seen. 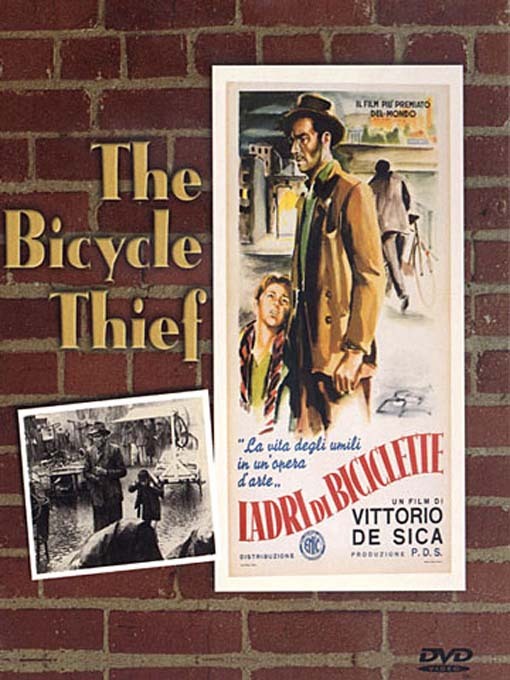 “It was directed by Vittorio de Sica,” you tell me, “and its indictment of capitalism springs from de Sica’s own upbringing in poverty.” Someone else says, “It is about a man who cannot attain and keep a job because he has no bicycle to get to work. And the bicycle symbolizes power, mobility in the world, and capital – the notion that the more one has, the more one gets.” Another person concludes, “It is considered a fine example of the genre of Italian Neorealism.” All these statements are true, yet they are flat, dead, and lifeless things compared to watching the actual movie. The person who watches the movie may not be able to state things quite so effectively as the second speaker above, but the watcher has nonetheless experienced the film – and its themes – in an infinitely more rich way than the pontificators. We do the same with parables. We say, “Jesus must be the seed, the ground his burial, and the mustards shrub the resurrection.” Or even, “the seed is a parable, its meaning is hidden, and the plant symbolizes that dormant meaning gradually making its way to the surface of the hearer’s understanding.” Both statements are likely every bit as legitimate as the observations about Bicycle Thieves, and every bit as shallow. And God forbid that the hypothetical film critics above think they have understood anything significant about the movie. They understand far less about it than the person who views it and says, “I don’t really get what its message is, but I was very sad by the end.” Certainly the director would prefer the latter response; Jesus, also, seemed to prefer perplexing to enlightening in many of his encounters. The upshot of all this is that there is no transition from being person A, who thinks thought (1) (which is incomprehension) to being person B, who comprehends (thought 2). Person A must become person B in order to understand anything, and while watching a poignant film changes you, learning facts about it does not. Sermons often try to educate parishioner A from thought (1) to thought (2), from behavior (1) to behavior (2), all the while building up A’s false sense of capability, virtue, and understanding while doing so. To become person B, because it now seems unnecessary, doesn’t even cross one’s mind. And this is for the best, by worldly standards – it is far easier to modify a thought or develop a good habit than it is to become a different person entirely. Like the mustard seed, we too must die, lay still, and sprout into something different altogether. Yet that final statement signifies almost nothing; it is another attempt to render public that which can only be understood privately, in inwardness, as Kierkegaard memorably put it. Why can Jesus explain it to the disciples? Even they fall prey to misunderstandings, yet Jesus can try because the disciples have a rich lived, personal, relational context for it. The naïve belief that we can understand, which would have blinded the public had Jesus tried literal speech to them, is not present in these fishermen. And they possess the necessary condition for genuine understanding, which is a lived relation to Christ. And here we must be cautious. It is legitimate to affirm that we, too, have this relationship, but that is not nearly sufficient. It was not sufficient for Peter, whose understanding is that of Satan (Mt 16:23). Meaning, when rendered – and it is rendered rarely, though we can prate about Neorealism or the Synoptic Problem all we like – meaning can only be a gift of the Spirit. How else, when it is so counterintuitive? And if understanding is a form of self-justification, as it seems obviously to be, then perhaps the fact we do not understanding is itself the Kingdom wisdom Christ means to impart – or at least the only point of departure for it. There are legions of social pundits, at places like slate.com, who are model progressives in public, who have written hundreds of thousands of words without once suggesting a racial or gender stereotype, whose euphemisms for the handicapped are always up-to-date and who shy away from value-judgments at every opportunity. The politeness is commendable, and it is a real manifestation of progress on the issues under discussion. Yet because their tolerance is public, it is the poorest possible manifestation of real progress; valuable truly, but nothing more than an outward conformance to praiseworthy norms. 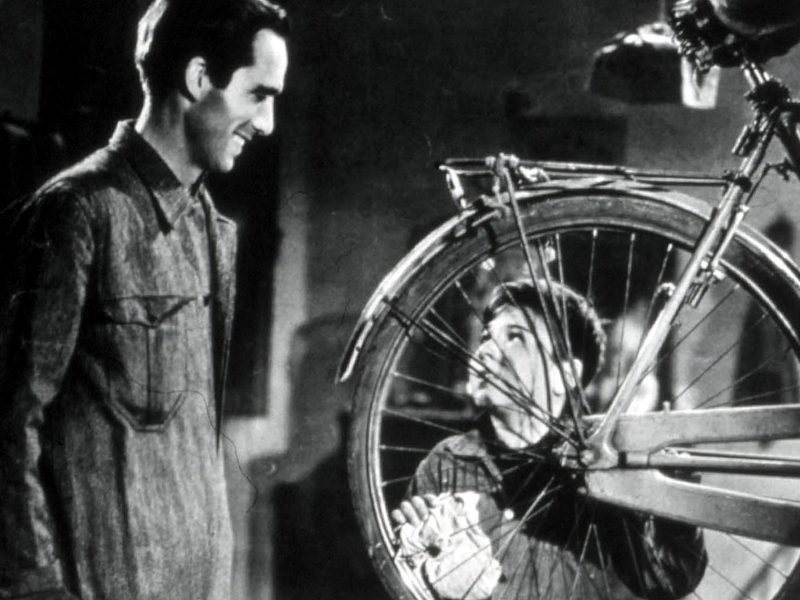 To mistake the proper language for progress in lived experience would be akin to describing Bicycle Thieves as “a stunning example of Neorealism” and imagining that one had thereby had a genuine experience of the film. The problem is perhaps no more acute in Christianity, though more tragic because we have built-in warnings against such presumption which we do not usually heed. It is easy to laugh at Nicodemus who, when told he had to born again (or homonymically, “from above”), protested that it is anatomically impossible. Yet we are bigger fools than Nicodemus – who at least admitted he was baffled – if we do not laugh at ourselves simultaneously. To preach interpretations of the parables, to write about grace, or even to note our inability to understand, seem like valuable things, to me – in the same way that reading a Wikipedia article on Bicycle Thieves or, to switch metaphors again, looking up pictures of the Grand Canyon. Yet we are done more harm than good if we mistake these poor, outward testaments to the phenomenon for the phenomenon itself. It is easy to manipulate Greek philology, the latest historical insights, or even centuries of theological reflection to produce something which feels like a real breakthrough. Yet to have the experience itself – to be born again, from above – is impossible; the real phenomenon can only happen to you. This clears away huge swaths of what we thought was wisdom (though foolishness to God) and agency (the “death-throes of the Old Adam” – Forde), yet it makes room for grace. Lots of the ideas in this post are inspired by his Postscript, which treats so memorably the difference between “direct” and “indirect” communication: when “the message itself is subjectivity,” direct communication will not do. I love this sentence: “Even they fall prey to misunderstandings, yet Jesus can try because the disciples have a rich lived, personal, relational context for it.” The following paragraph notwithstanding, would you say liturgy is meant to enflesh a similar context for contemporary believers? To be clear, I mean any liturgy- I am a Baptist after all, can’t go insisting on the Western Rite or something. Thanks Will. You make me think that Jesus is far more than the best sermon anyone could preach about him. And I’ve heard some good ones. Jesus is better. Huzzah. evangelical/humorous apophaticism. wonderful. but one worry: does your public-private split suggest that the secret doesn’t challenge ‘the public’ (rorty would certainly like such a suggestion!)? Andrew – good question. Kierkegaard calls subjectivity/admitted ignorance of the objective realm the “Socratic secret”, and I think that determination not to lay claim to knowledge is itself countercultural and even challenging. Haven’t read rorty in a long time, so can’t address that. Ian, that sounds like a really interesting idea – would have to give more thought to it. Seems like there has to be some substitute for physically lived knowledge. I guess defining what that is is the challenge. PZ’s short systematic I think tackles that question pretty directly. O God, let it be!